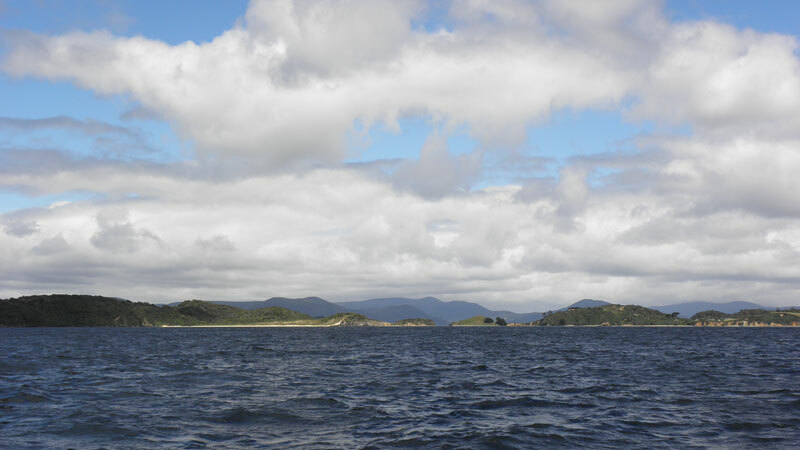 Stewart Island/Rakiura is the third-largest island of New Zealand. 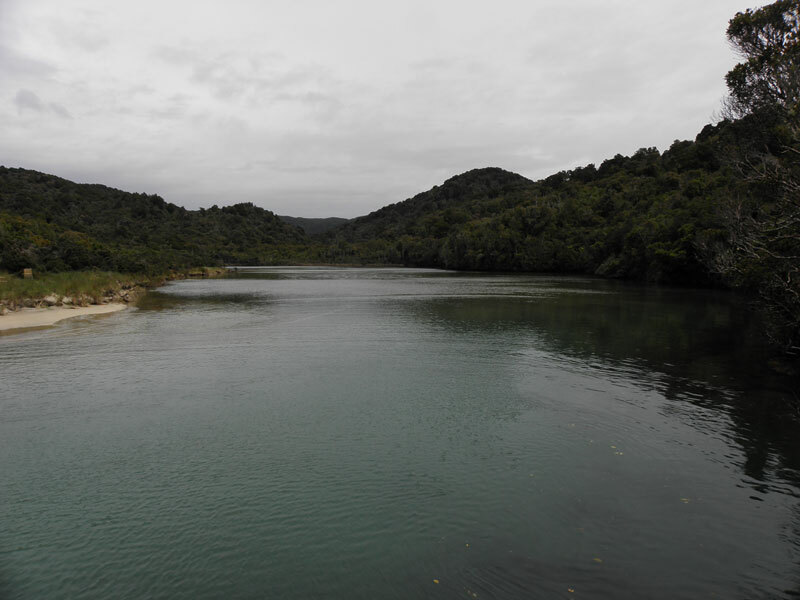 It lies 30 km south of the South Island, across Foveaux Strait. 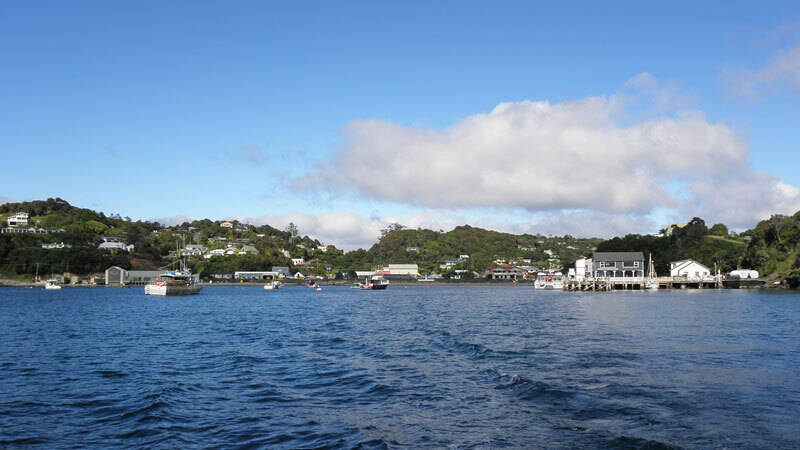 Its permanent population is slightly over 400 people, most of whom live in the settlement of Oban, which is the only town on whole Rakiura. 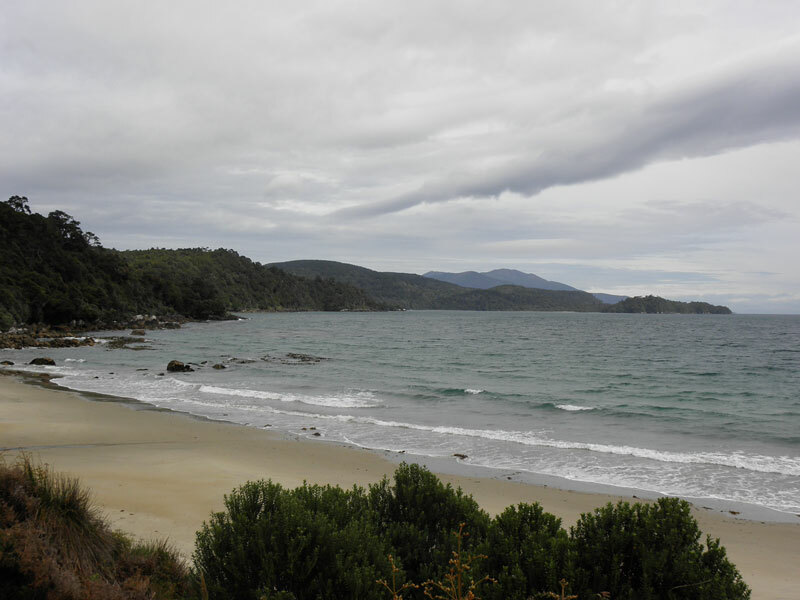 Rakiura is the Maori name for Stewart Island and means Land of the Glowing Skies". 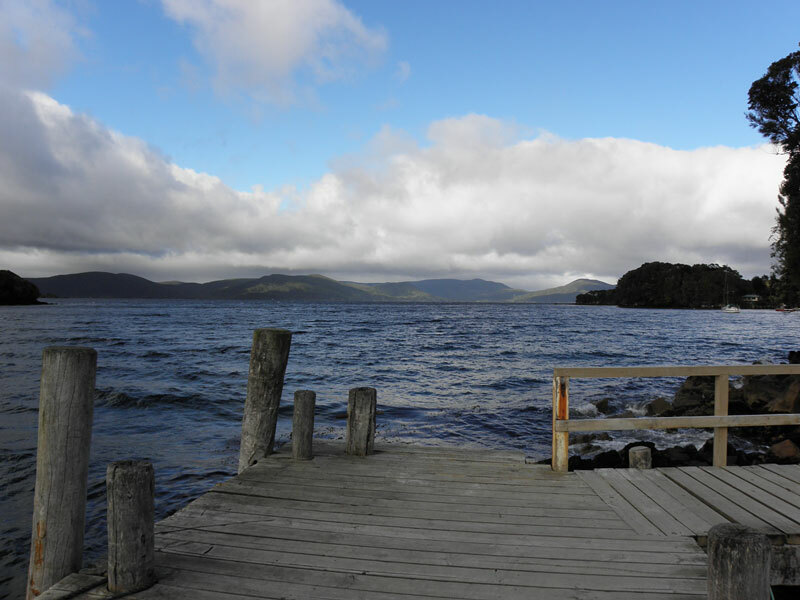 While this is a reference to the blushes of Te Rakitamau it also describes the islands spectacular sunsets and its night-time displays of Aurora Australis, the Southern Lights. 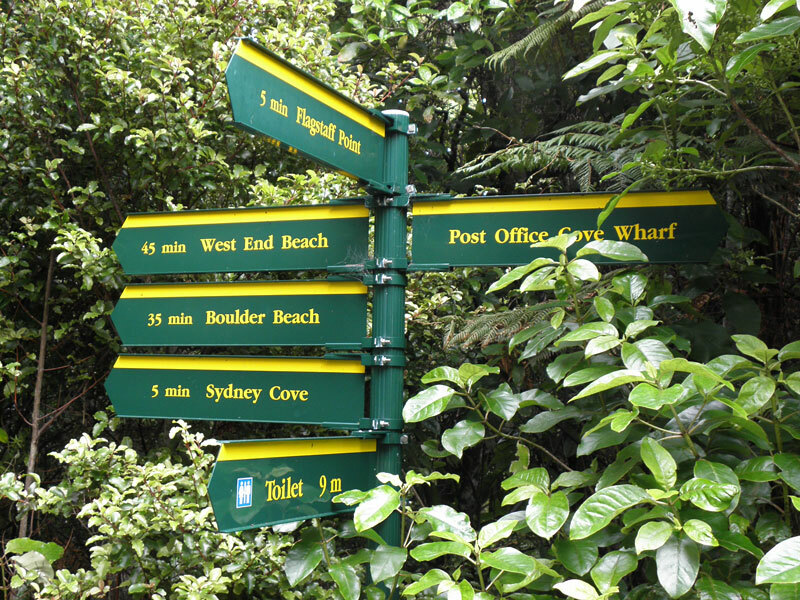 The majority of the breeding population of critically endangered Kakapo (a large flightless parrot) are currently located on Codfish Island, which is closed to visitors and unauthorised landing is prohibited. 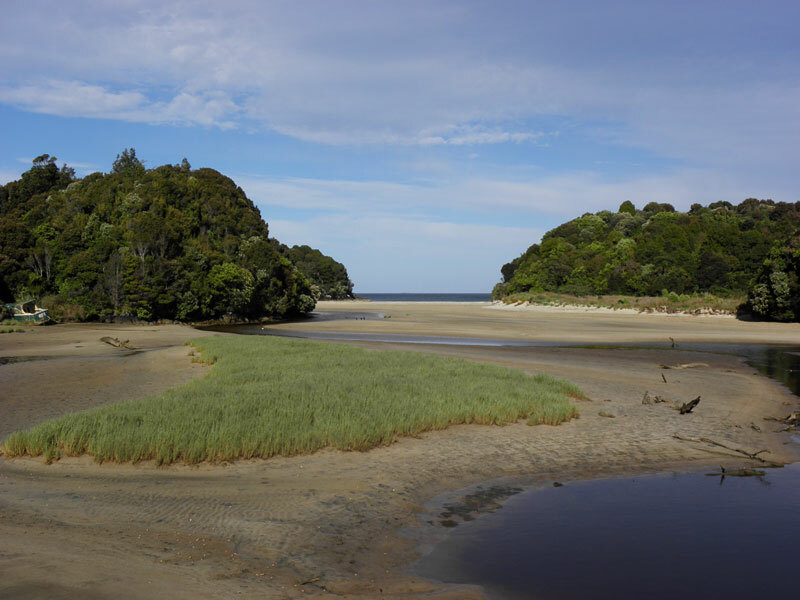 There are many species of birds on Stewart Island/Rakiura that have been able to thrive because of the absence of the cats, rats, stoats, ferrets, weasels and other predators that man has brought to the main islands. 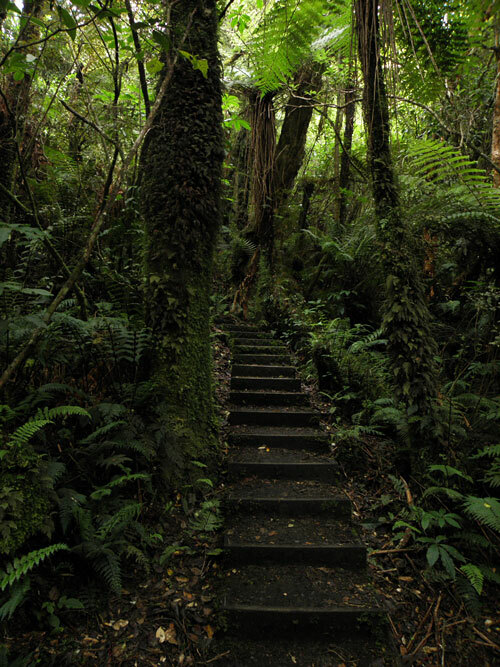 Native plants include the world's southernmost dense forest of podocarps (southern conifers) and hardwoods such as rata and kamahi in the lowland areas with manuka shrubland at higher elevations. 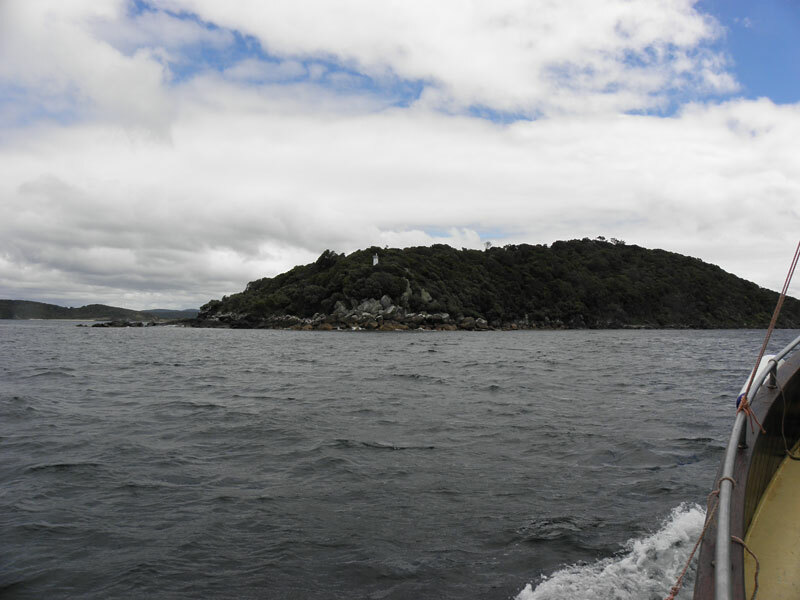 Approaching Stewart Island by the ferry from Bluff (South Island). 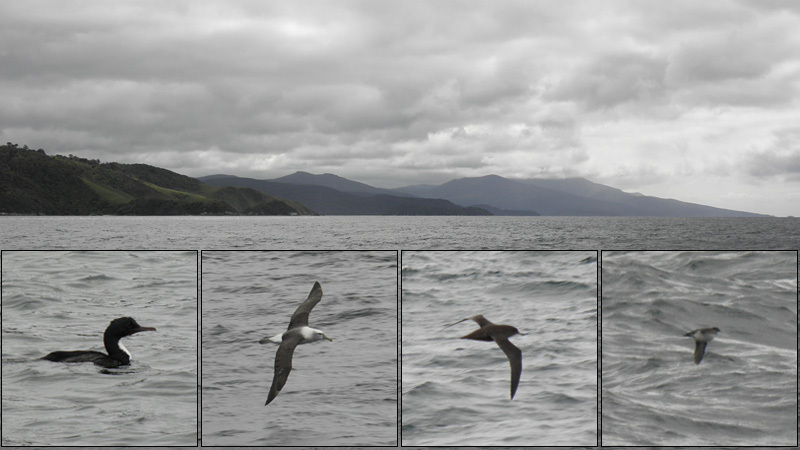 Sooty Shearwaters and Common Diving Petrels were common, while White-capped Albatrosses, Giant Petrels, Blue Penguins were seen in less numbers. 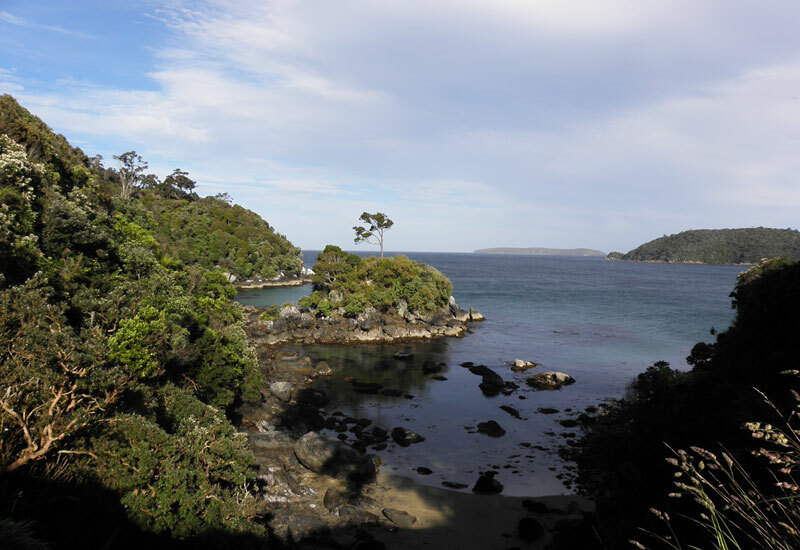 Stewart Island Shag and Spotted Shag show up now and then close to the coast. 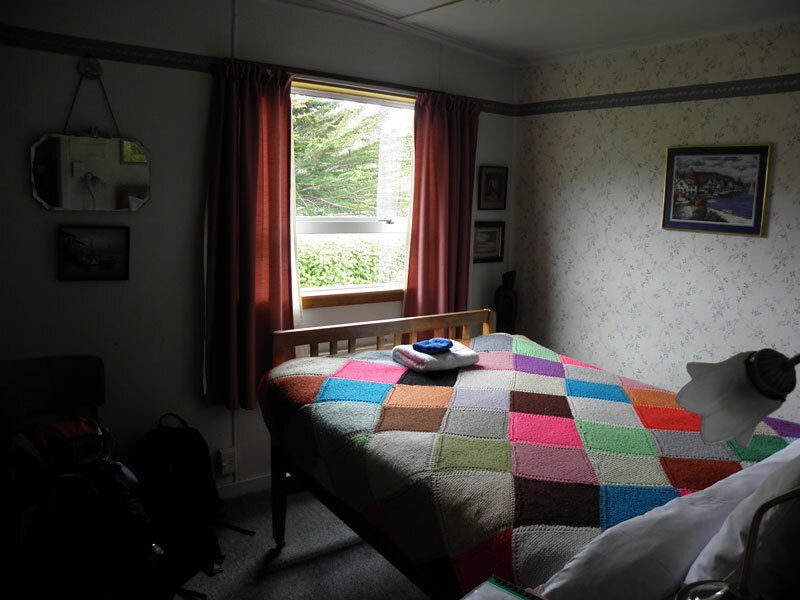 My cosy little room at Jo and Andy's B&B. A very kind couple and a very special house. 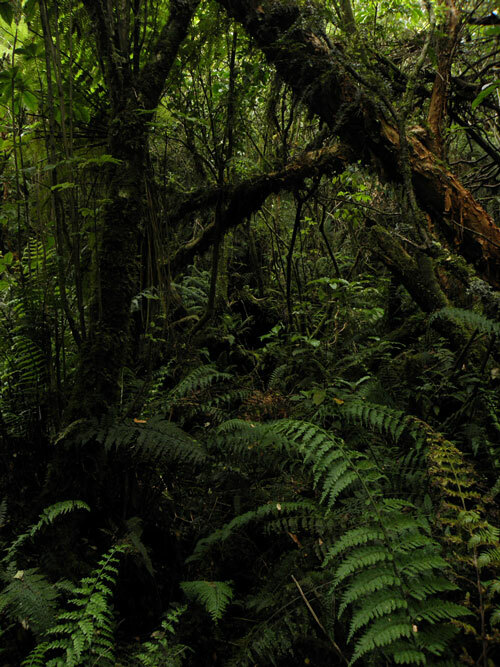 Woke up every morning to a lovely concert of singing birds and of course load calls of Kãkãs and Wekas. 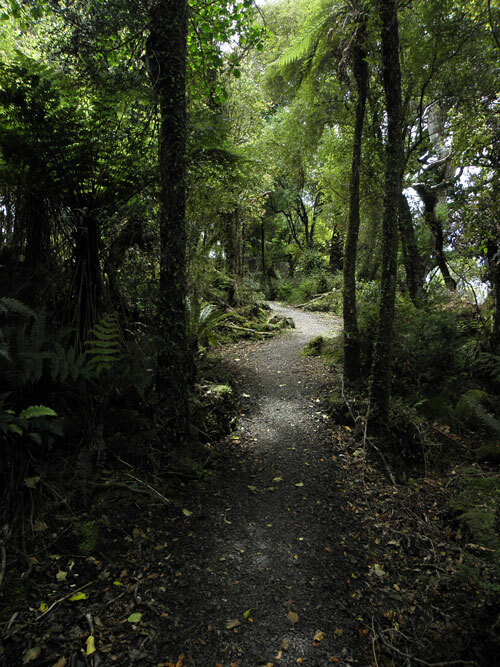 Part of the beautiful track named Fuchsia Walk, located a few hundred metres from my accommodation. In this area parties of Kãkã were always present. 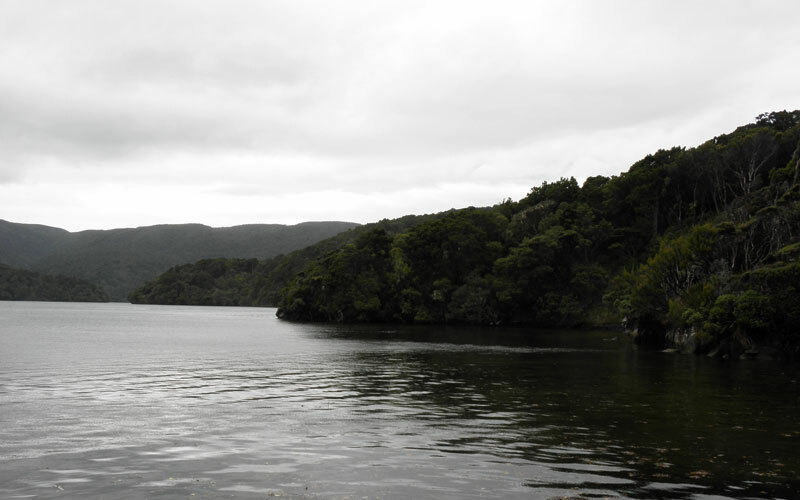 Part of nice dense forest close to Oban. Close-up of a beautiful Kãkã. A very vocal and social parrot. Easily seen in whole Halfmoon Bay area. 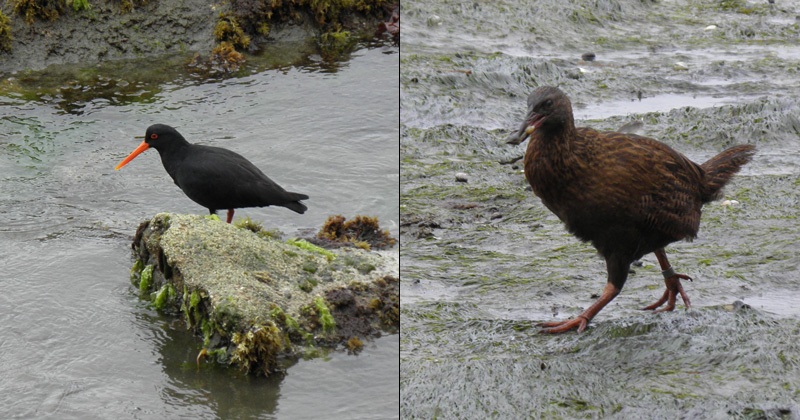 Variable Oystercatcther (black phase) were quite common and many have chicks. 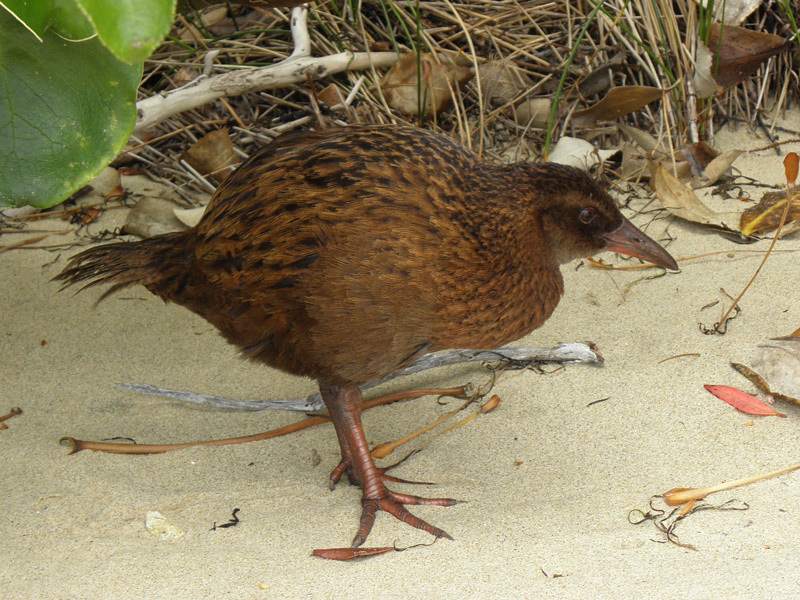 Stewart Island Weka could be find in almost all habitats. 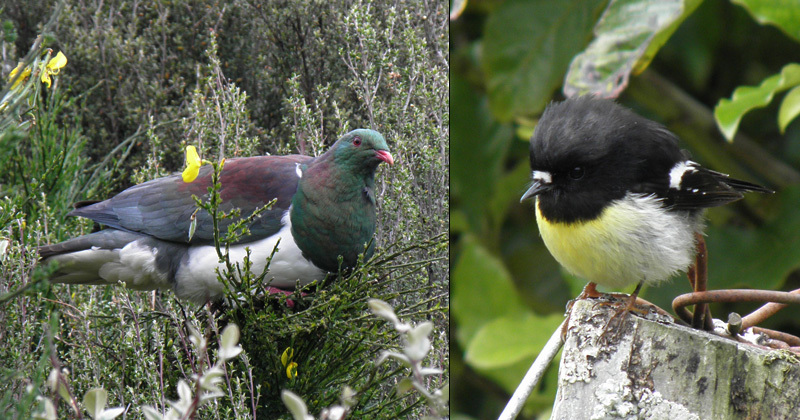 The large and beautiful New Zealand Pigeon were quite common in the are, which goes for the small and lovely bird named Tomtit, more often heard singing in the woodlands than seen this well. 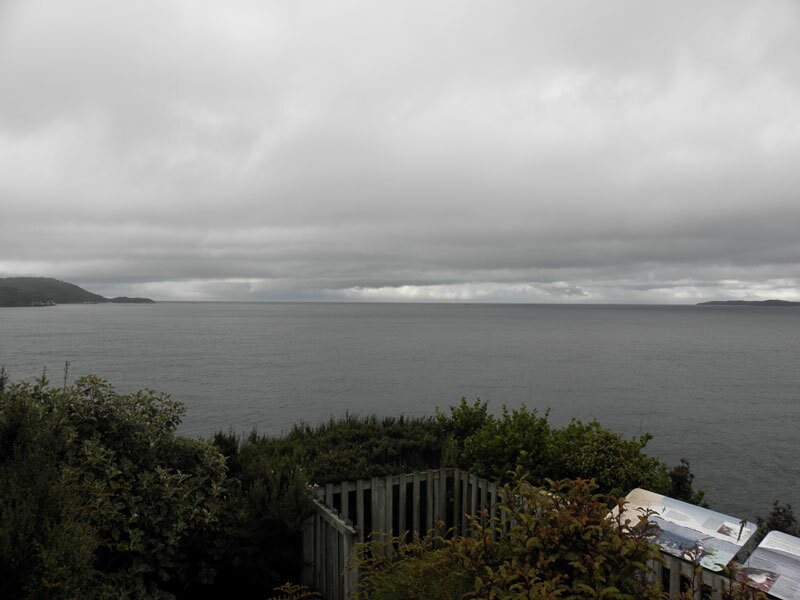 Halfmoon Bay and Oban. 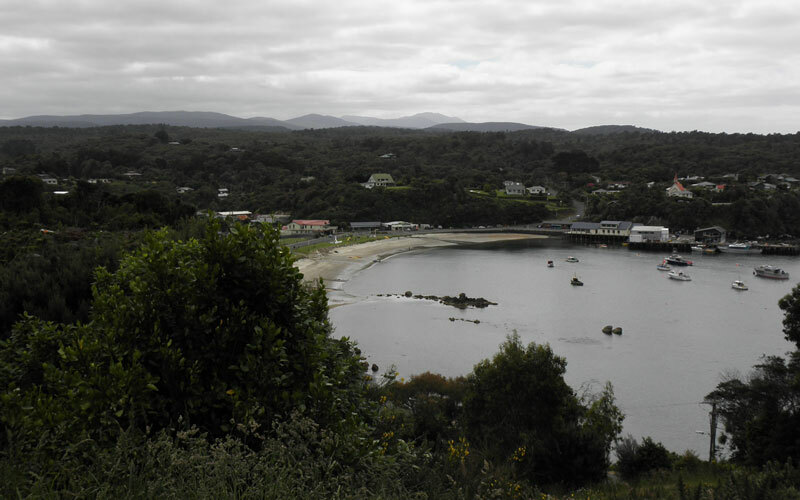 The only village on Stewart Island. 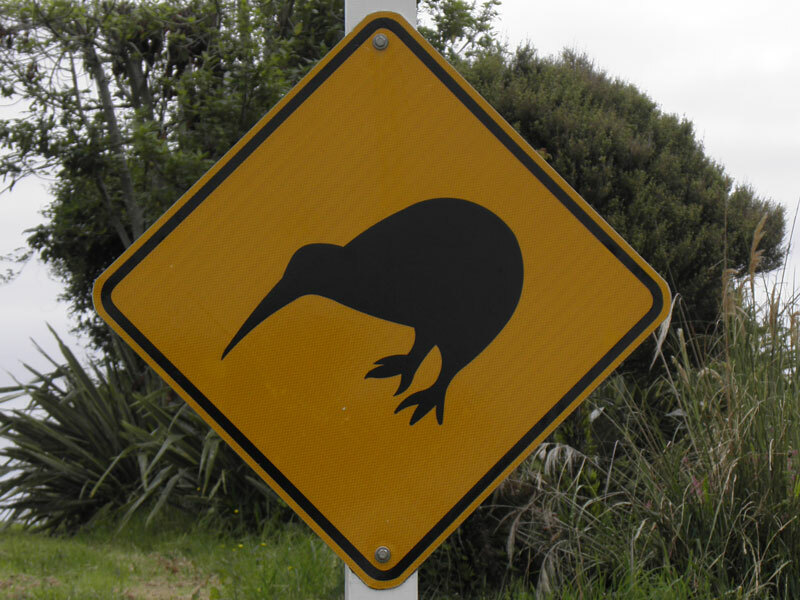 Kiwi signs along the small roads, even though there was not much of traffic to speak of. 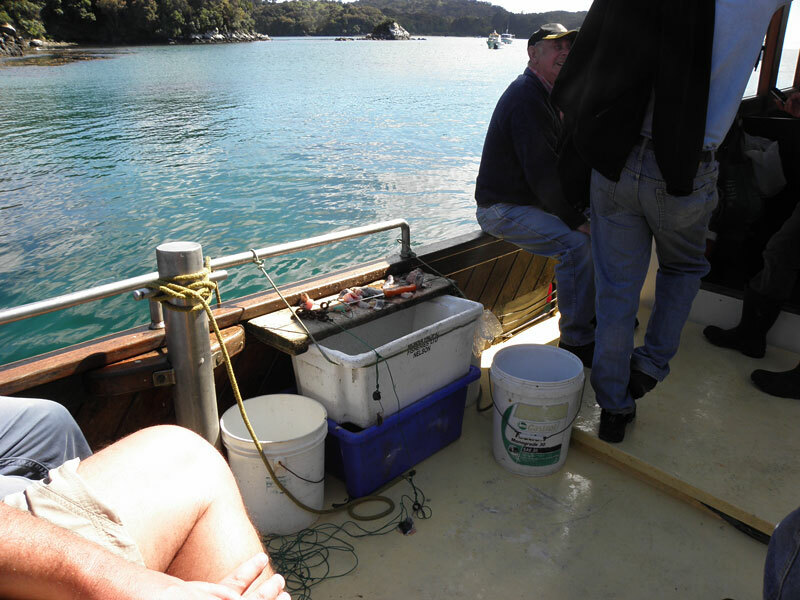 The skipper Philip Smith giving some brief instructions before leaving the harbour for a nocturnal Kiwi trip to Ocean Beach in the evening of my first day on the island. 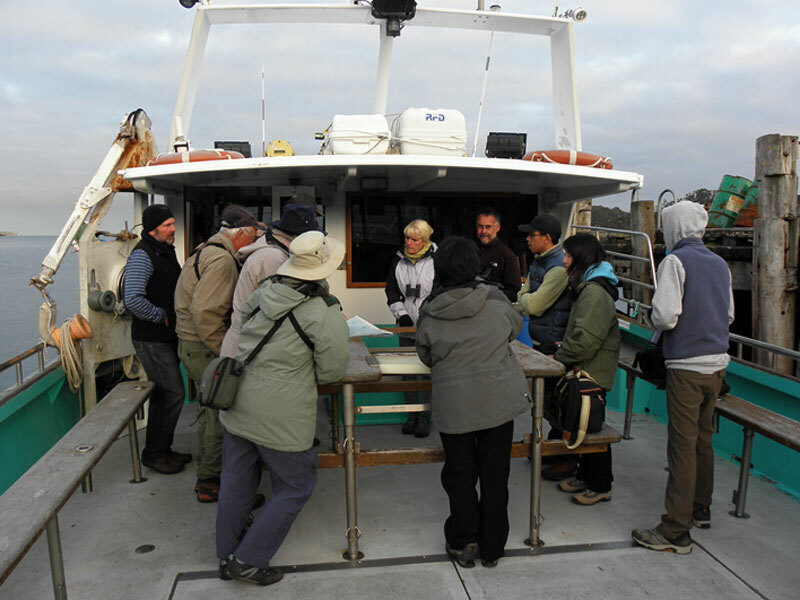 The boat trip through Paterson Inlet in the evening was just great. 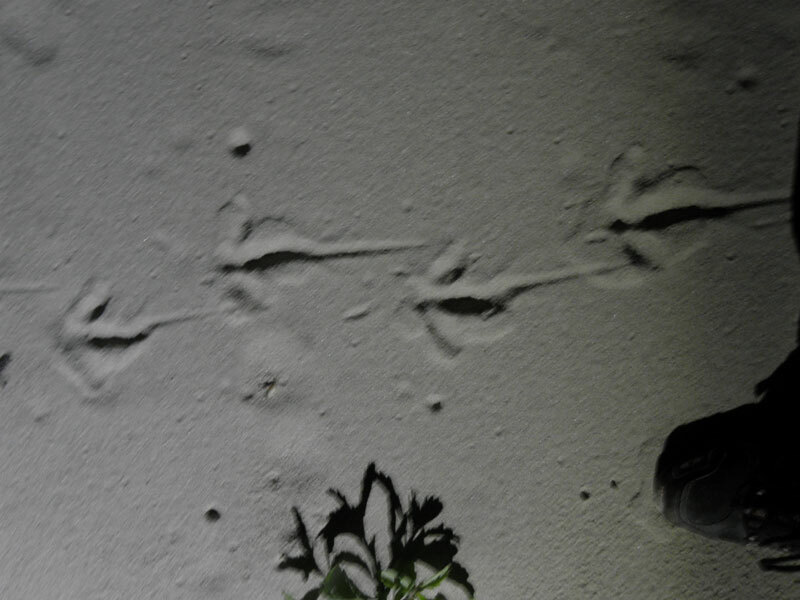 We walked the Ocean Beach several times at midnight, with only a hasty sight of a Kiwi, leaving it's track in the sandy beach. 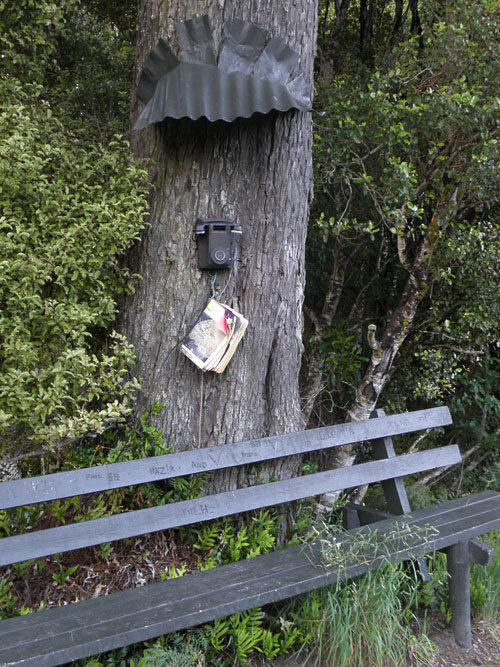 We heard a few birds calling int woods. 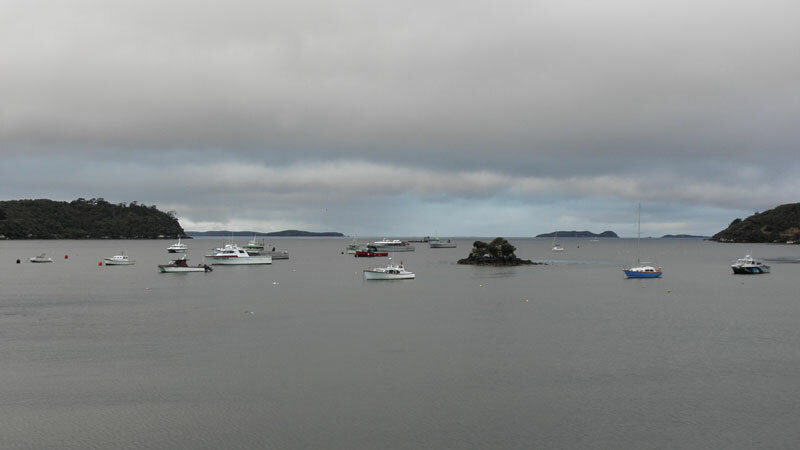 A few of us decided to do a final walk before going back to Oban. 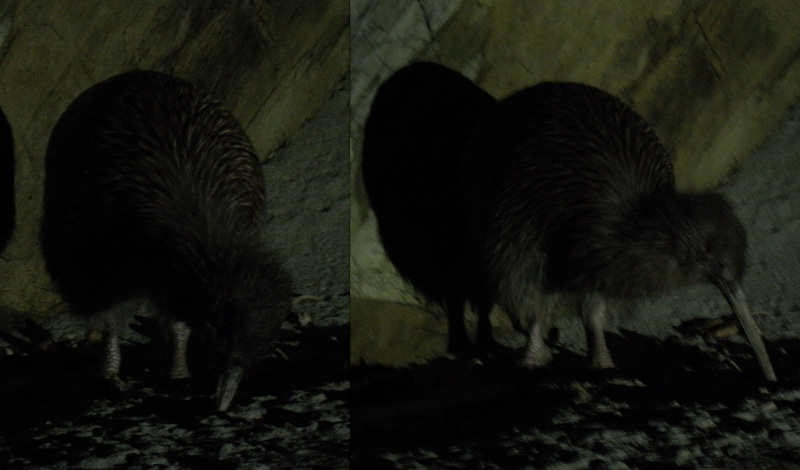 At the end of the very last walk we were finally rewarded with a close sighting of a Stewart Island (Brown) Kiwi. What an amazing bird or creature. Quite huge with heavy legs. I could tell that everyone in the party was so relieved and happy, but the two kiwis (New Zealanders) were in great ecstasy. 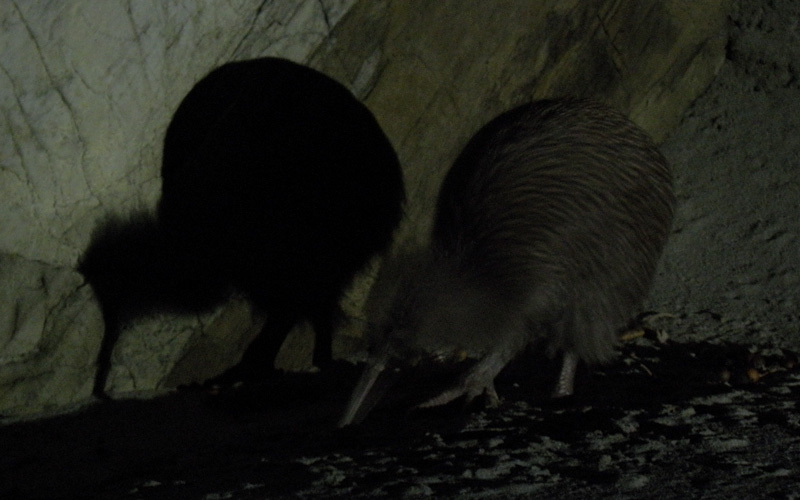 For a kiwi seeing a kiwi, their national symbol, in the wild must be an unforgetable experience! Early morning on 3rd December. 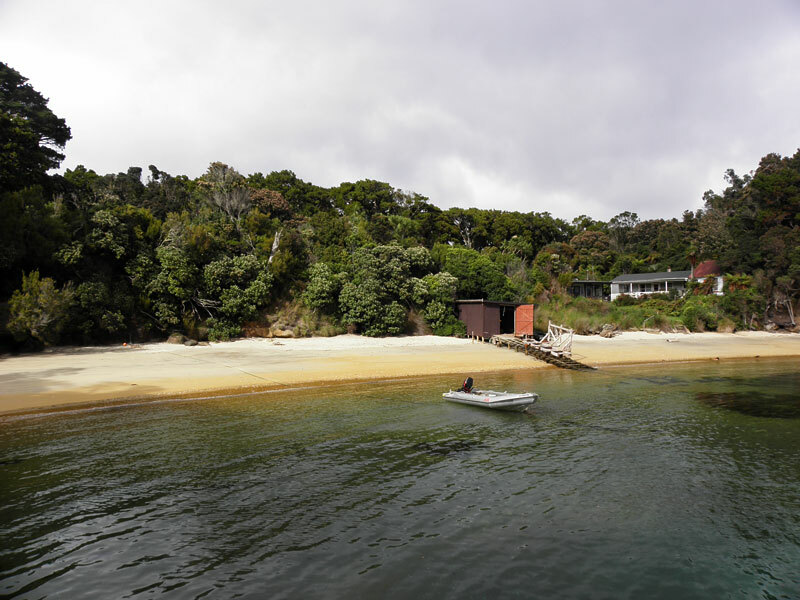 Waiting for the water taxi to Ulva Island, an open sanctuary within the Rakiura National Park. View at the landing spot Flagstaff Point and its lovely bay. 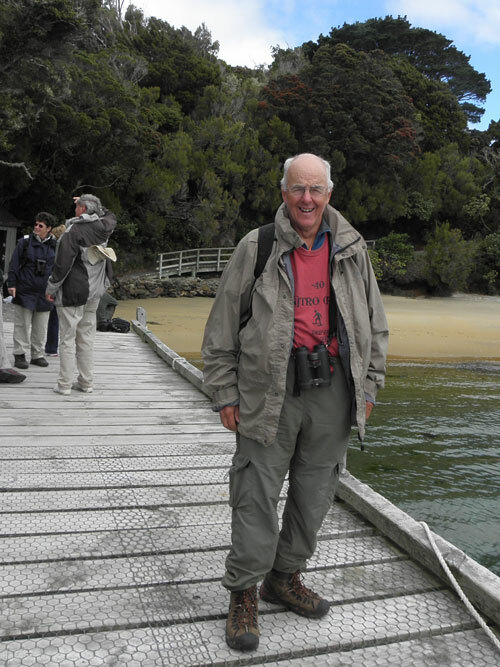 The Canadian birder, Dave Tannahill, which I met on the kiwi trip. He had been travel for three months in Chile, Peru, Argentina, South Africa, Australia and finally in NZ. 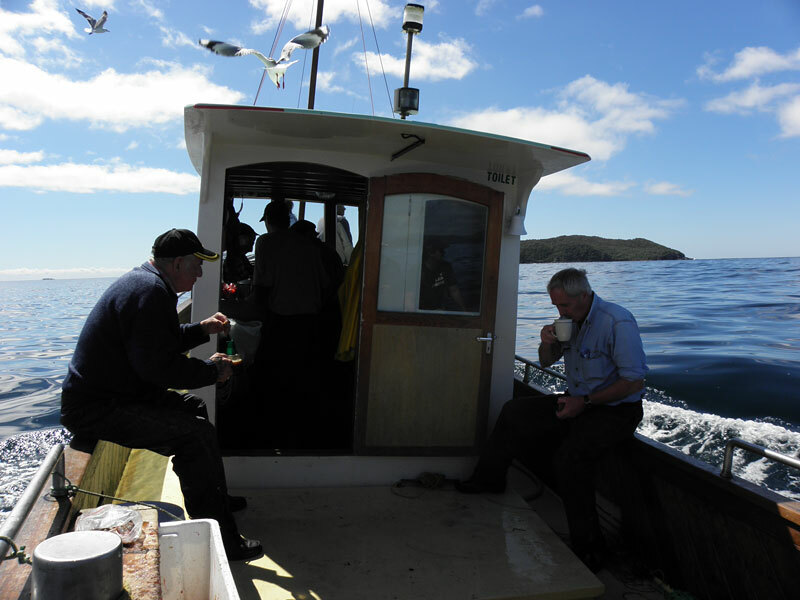 We had a nice full day on Ulva together. 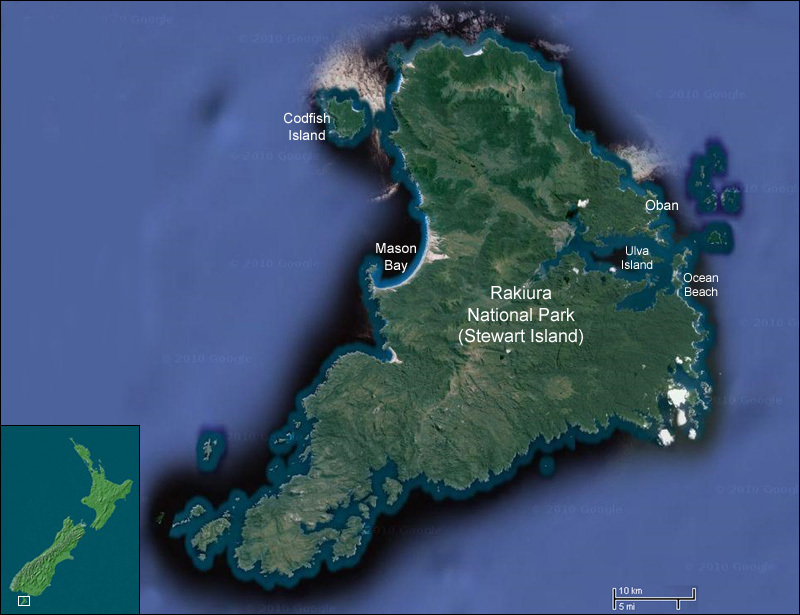 One could possible do Ulva Island for half a day. 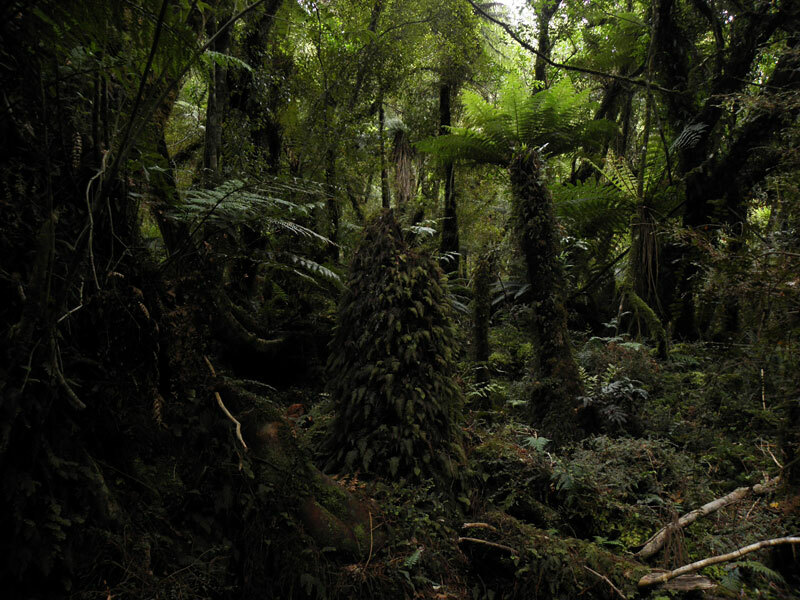 However, Dave and I, birded through the island and its old and beautiful forest for a full day. 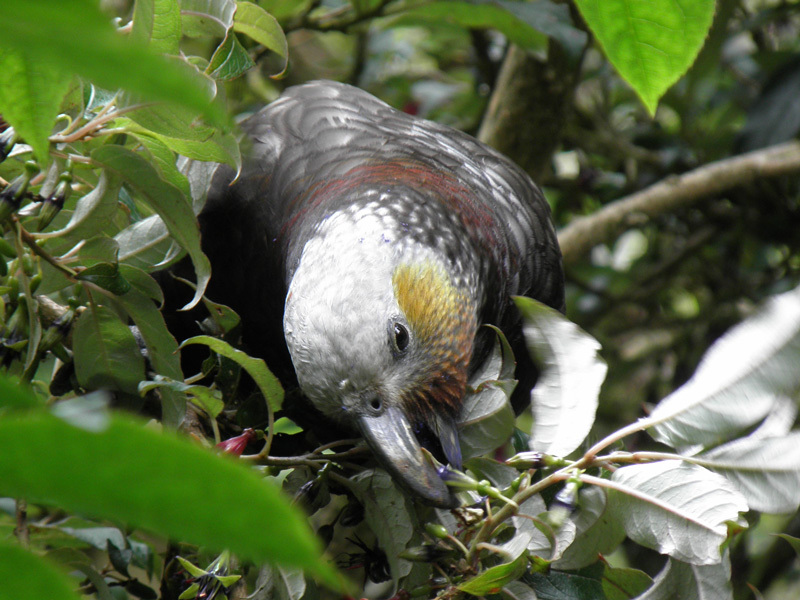 We were greatly rewarded with all possible species, except for Kiwi and Yellow-crowned Parakeet. 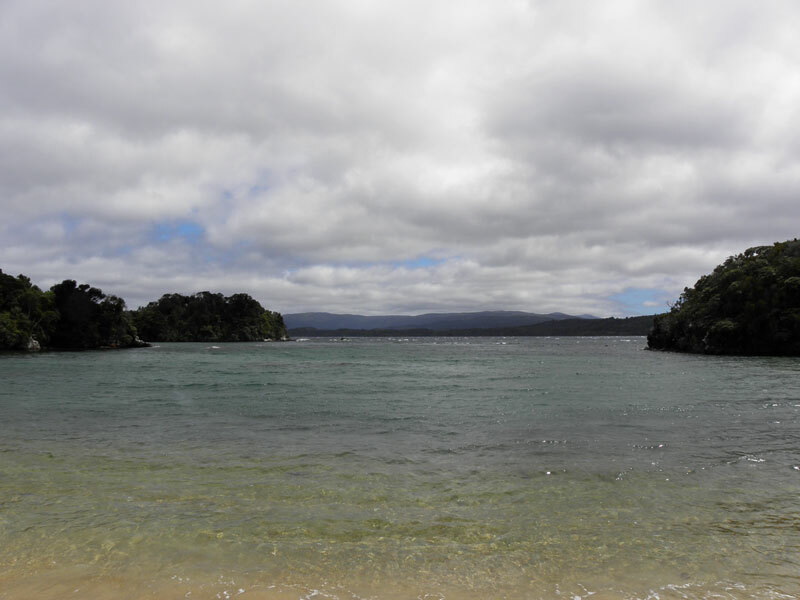 I also got back to Ulva Island for a half day on my last day on Stewart. 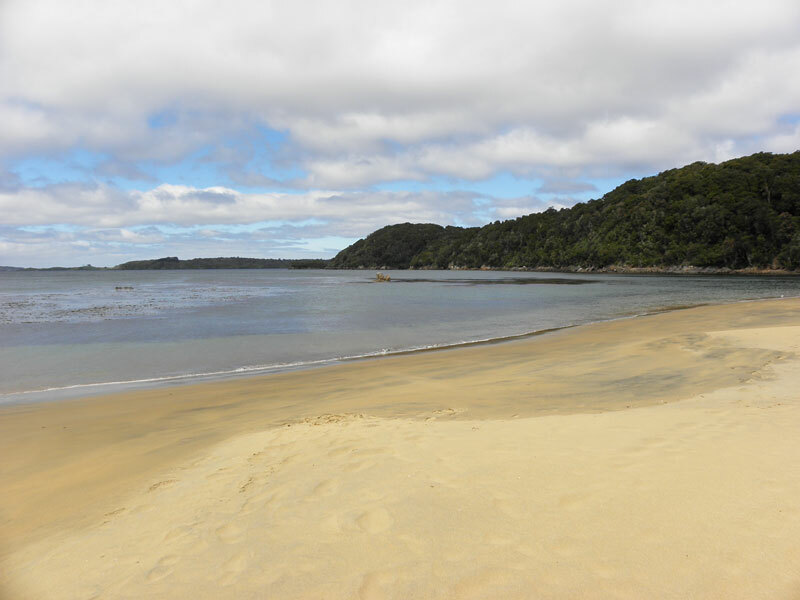 View from West End Beach. 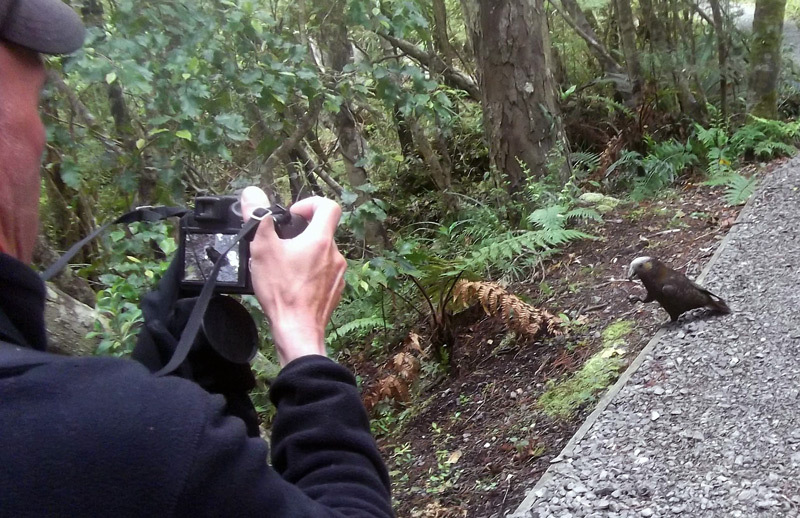 Me photographing a curious Kãkã (Photo: Dave Tannahill). Usually they rarely go down to ground. 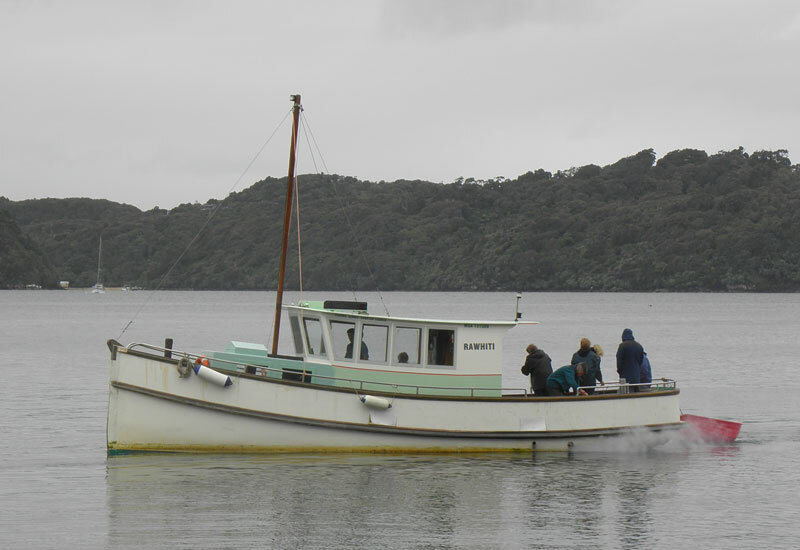 Close up of the same nice Kãkã on Ulva Island. 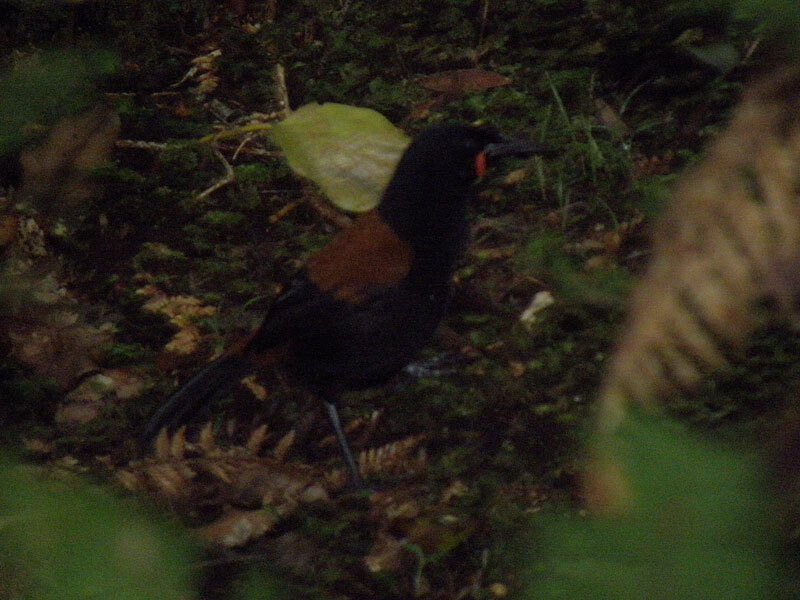 Without our patience and careful birding in the dense forest we had definitely not seeing as much as seven South Island Sadlebacks, of which two were young ones. As we quickly learned its calls and song it was somewhat easier two find this nice bird. Here is a poor picture of an adult bird in the right habitat. 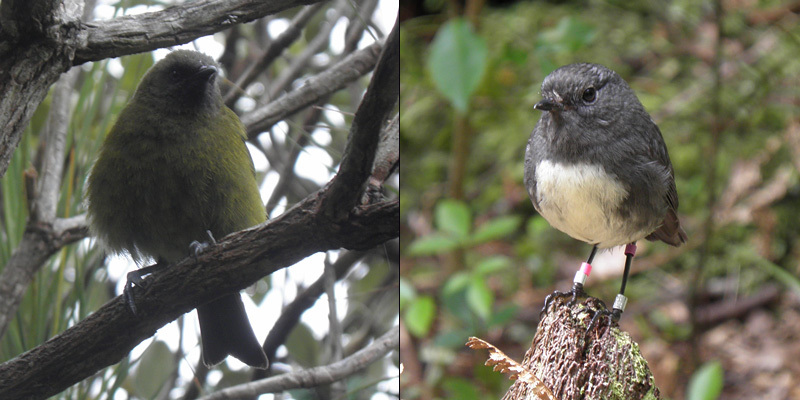 Bellbird (left) and a beautiful Stewart Island Robin, even though I am allergic to coulor-ringed birds. 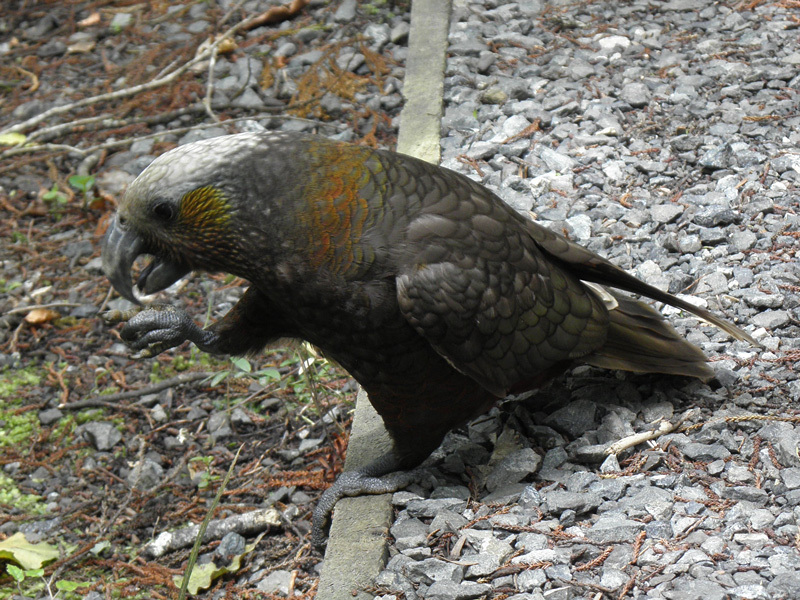 However, lovely birds that show up from nowhere when you sitting on the ground a relaxing and quite unafraid too. Dave and I enjoyed tens of Robins, just sitting and waiting. 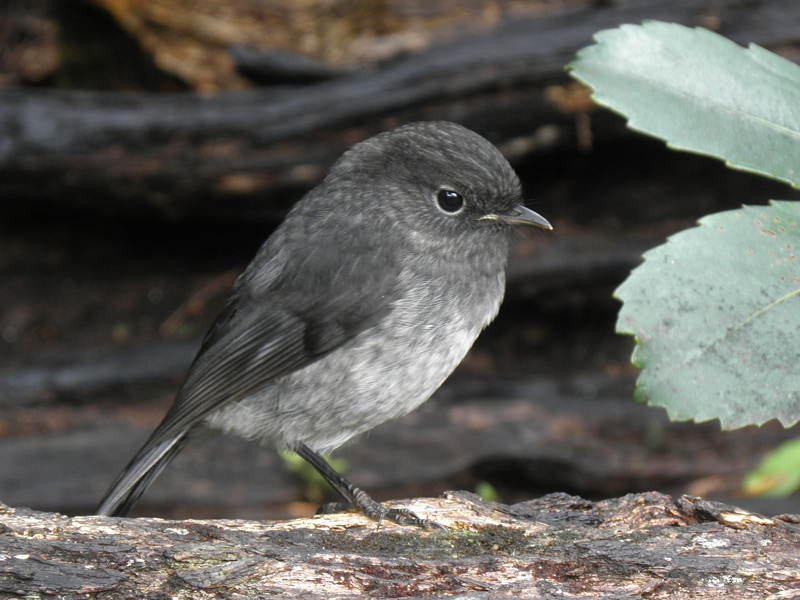 A beautiful juvenile and unringed Stewart Island Robin! 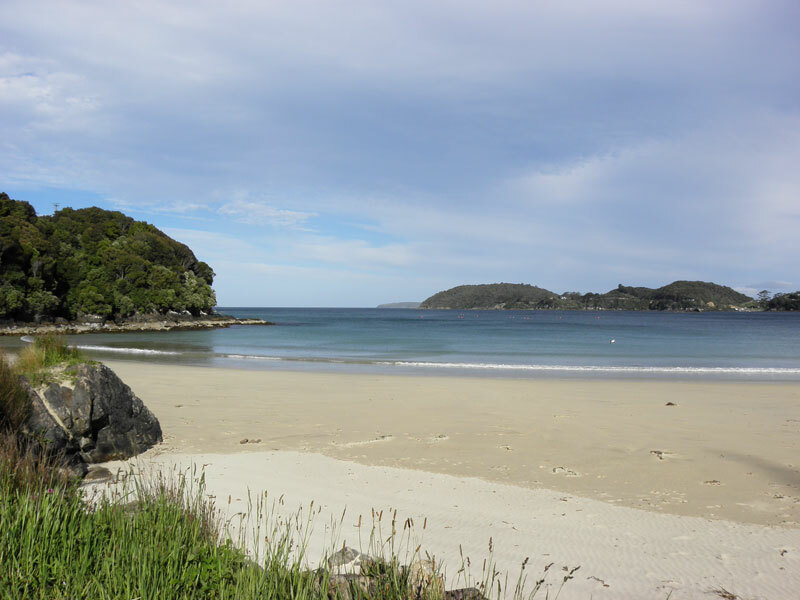 View from Boulder Beach, Ulva Island. 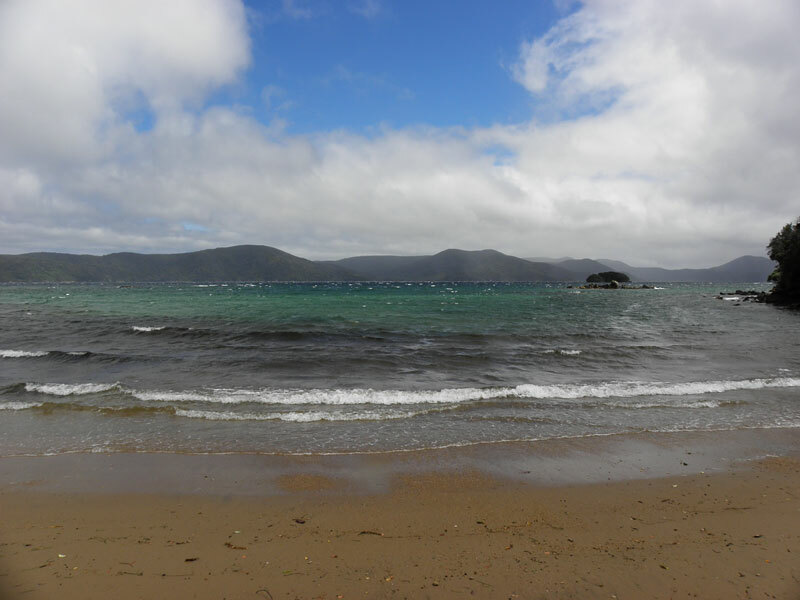 After visiting Ulva Island and a quick blue cod dinner I took a long walk to Ackers Point, the tip of Halfmoon Bay, for an evening seawatch. Ackers Point and view towards North. 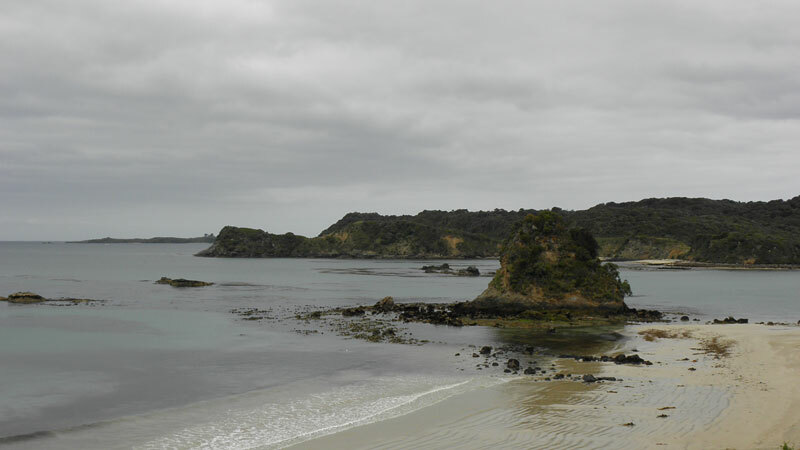 From here I saw thousands of Sooty Shearwaters and 40-50 White-capped Albatrosses, of which many passed close to the shore and just over the view point. 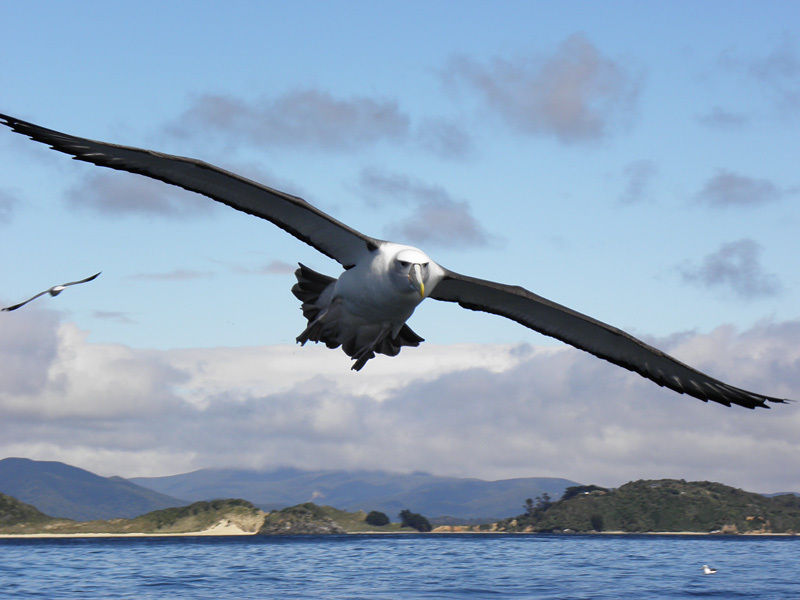 The albatrosses below were photographed with my compact camera from the view point, then you probably get a hint of their closeness. 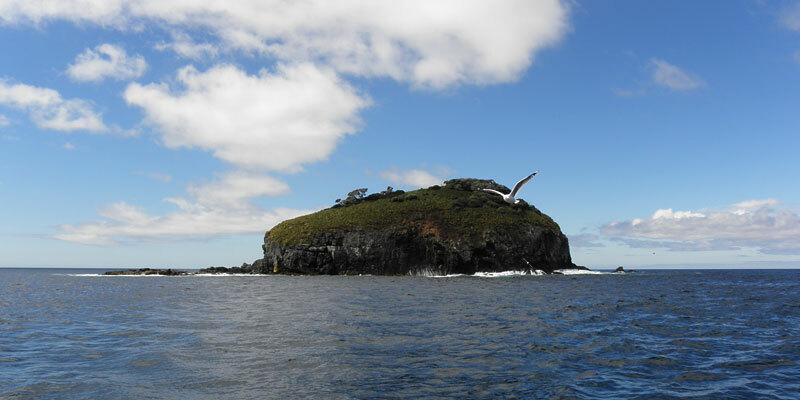 White-capped Albatrosses off Ackers Point. 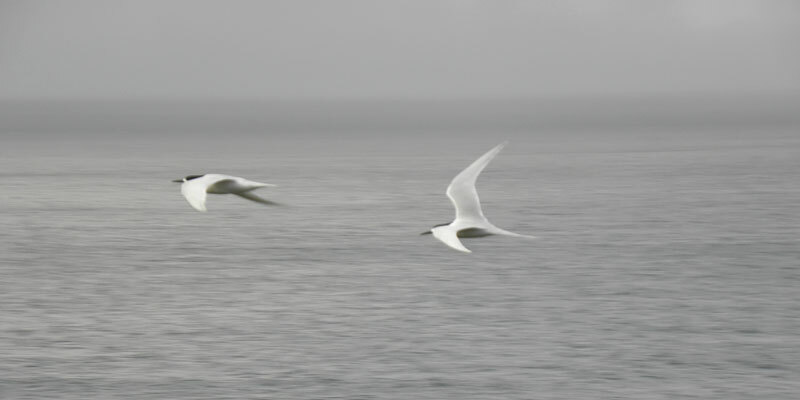 A couple of White-fronted Terns passing the Ackers Point. 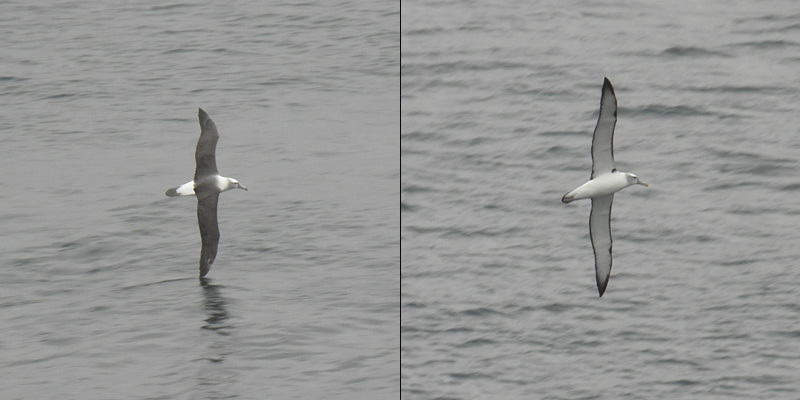 A nice White-capped Albatross in nice light at the same altitude as the Ackers (view) Point. 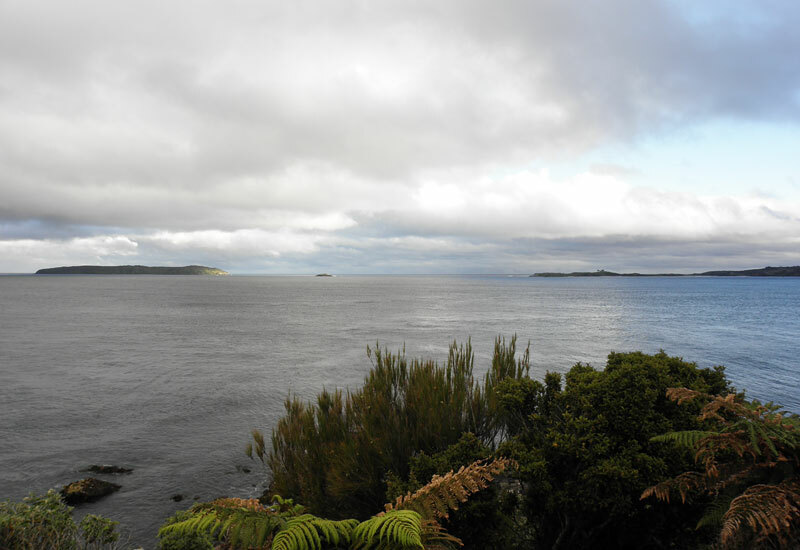 View towards south from Ackers Point. 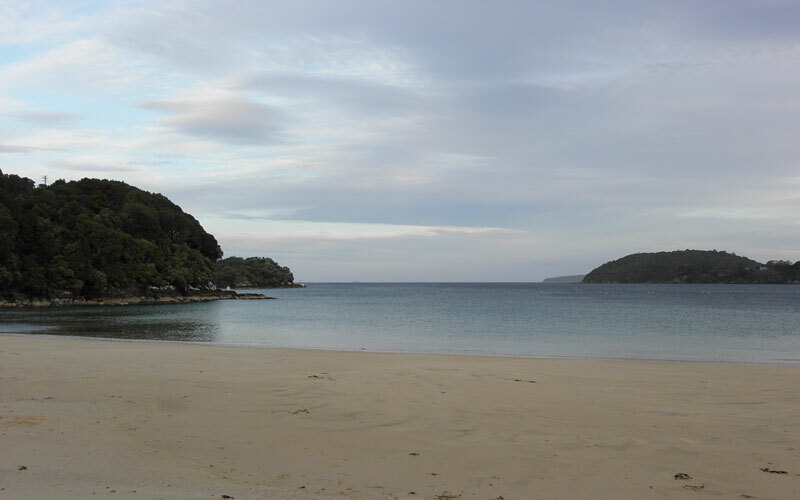 A calm Halfmoon Bay about ten o'clock in the evening. 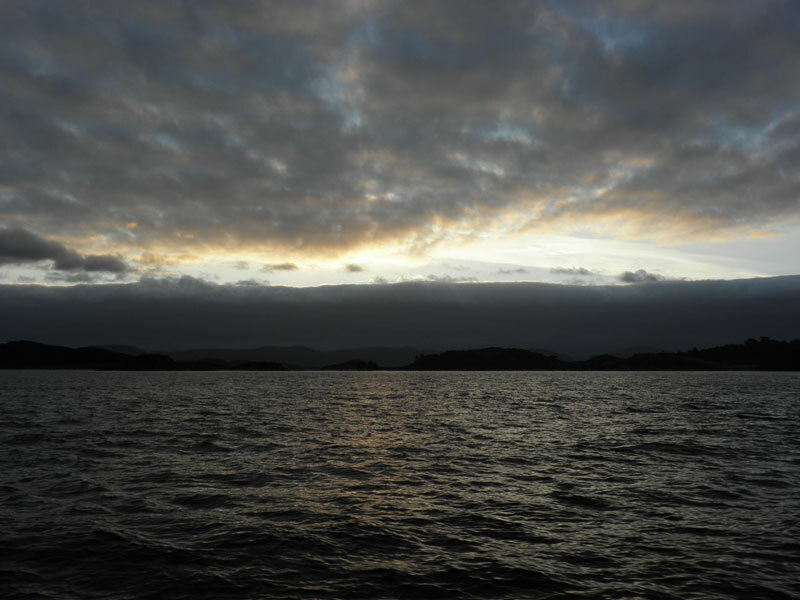 Leaving Oban and Halfmoon Bay behind. 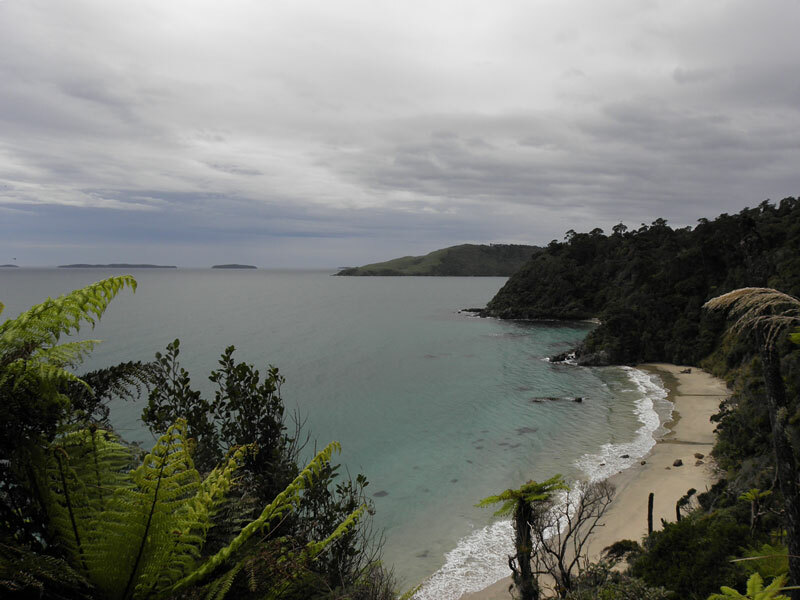 As usual on my New Zealand tour the weather gods are on my side. Perfect wind conditions for a day at sea! 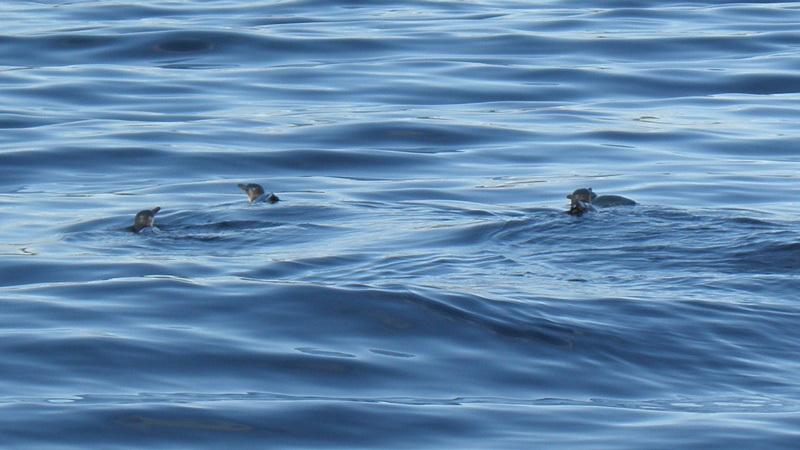 Three little Blue Penguins close to the boat at the inlet close to Ackers Point. 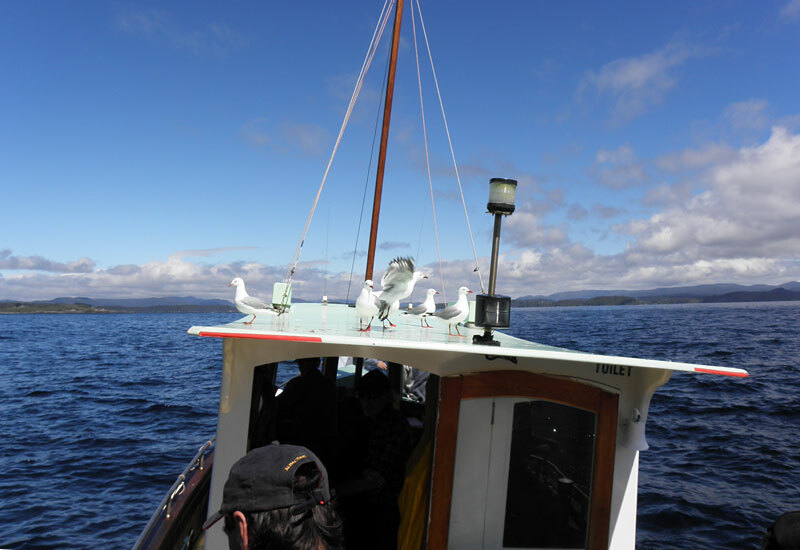 As soon as John stopped the boat the albatrosses and gulls started to arrive. 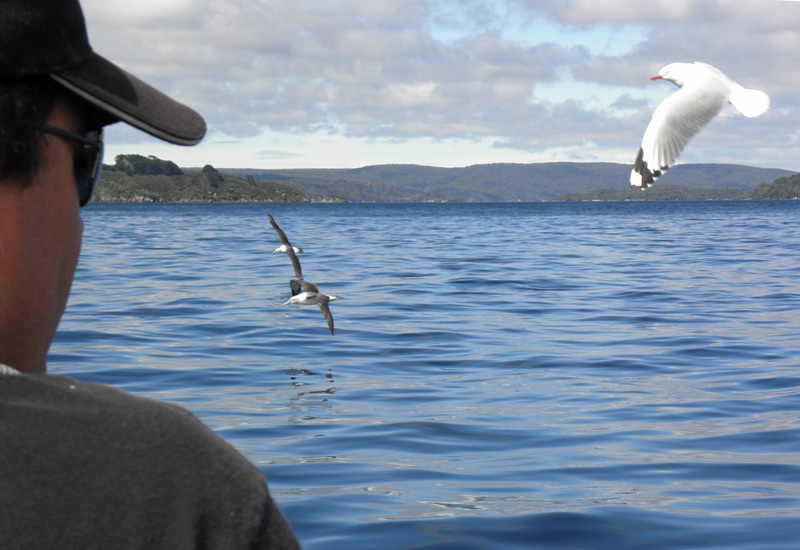 Kevin from Christchurch enjoying the weather and the birds while waiting to hook a blue cod. 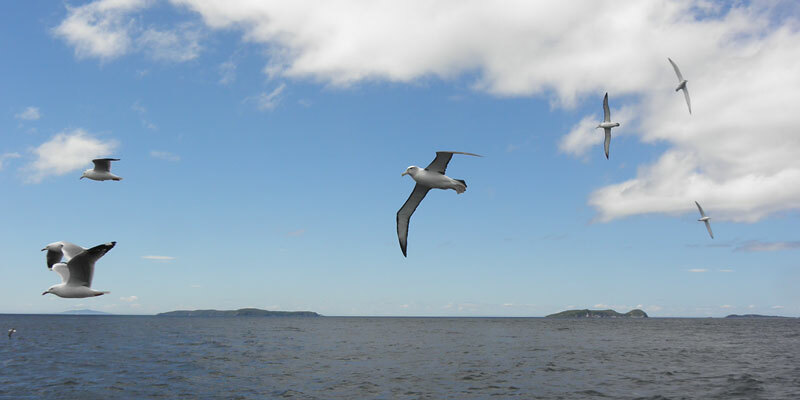 A huge and beautiful White-capped ALbatross hanging alongside the boat. 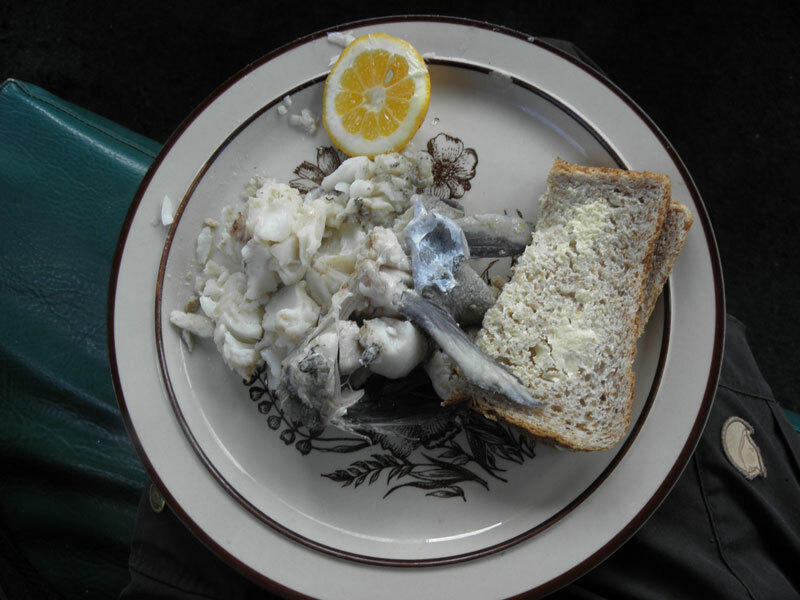 Delicious blue cod dinner onboard. 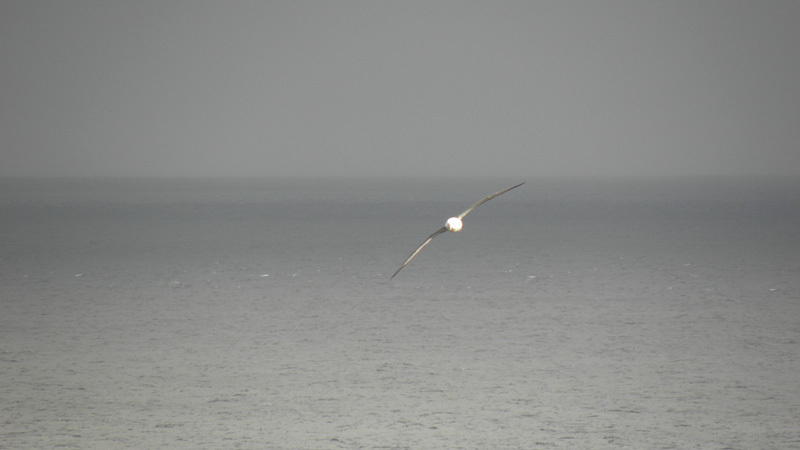 ... while Red-billed Gulls and White-capped Albatrosses hanging around. Even the gulls need some rest sometimes. Always hungry it seem. 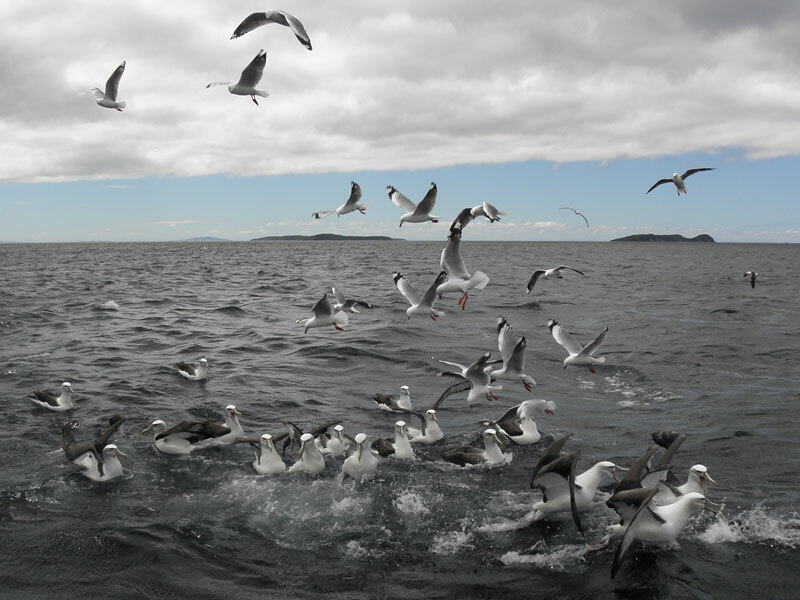 It is a fight of every single piece of fish or bread. 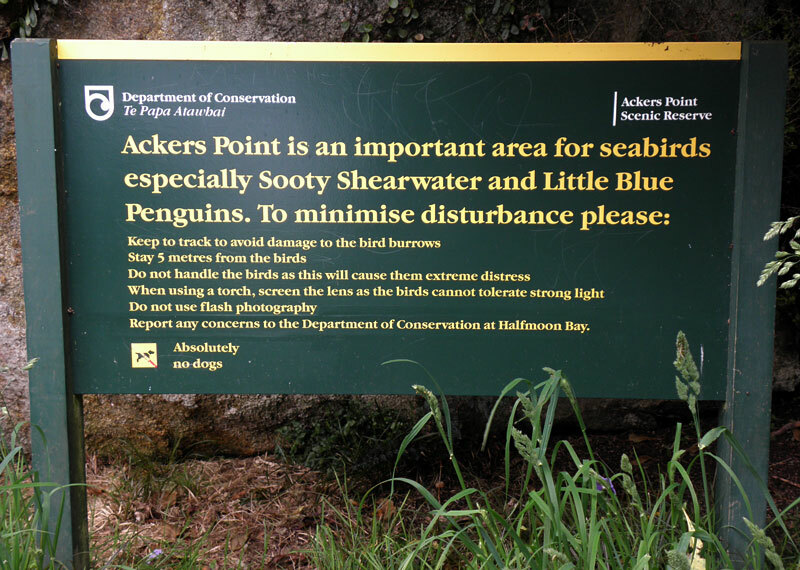 Heading back to Oban and approaching Ackers Point, a good breeding ground for Blue Penguins and Sooty Shearwaters. Butterfield Bay in late evening. The dangerous Dead Man Bech. Halfmoon Bay in late evening. 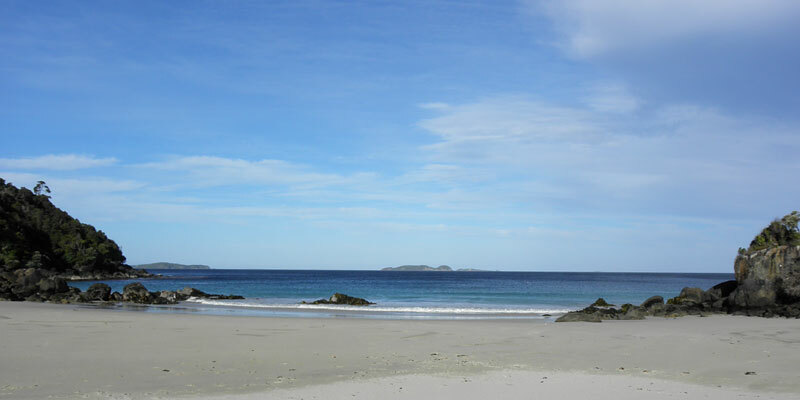 View from Lee Bay towards Port William. 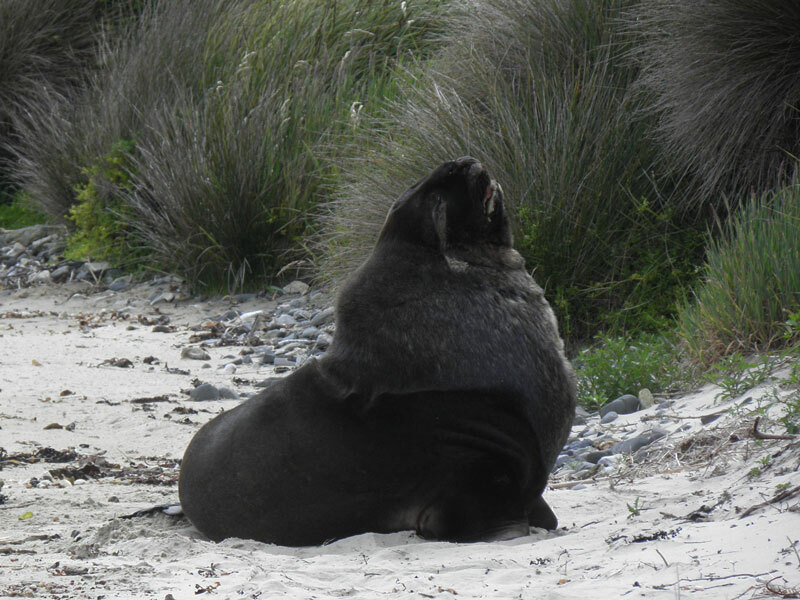 A huge male Sea lion at Lee Bay beach. One has to be very careful not to get to close. 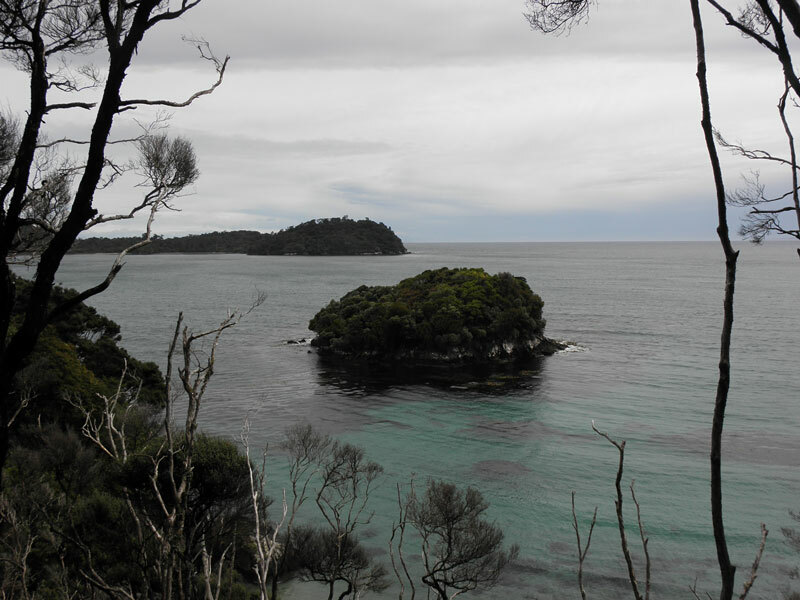 View along the coast from Peters Point. 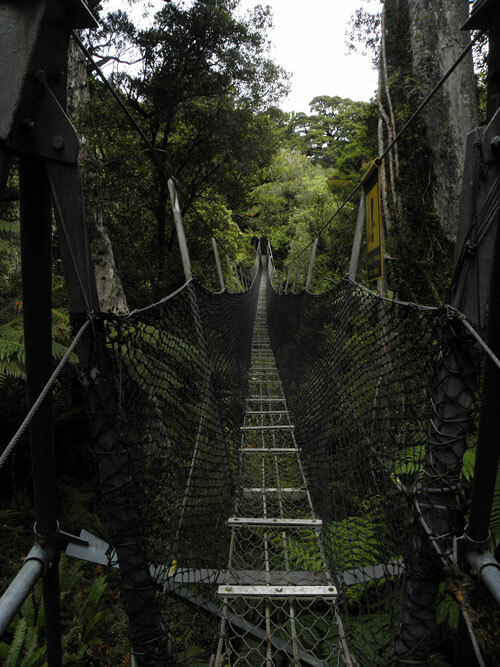 Suspension bridge at Maori beach. 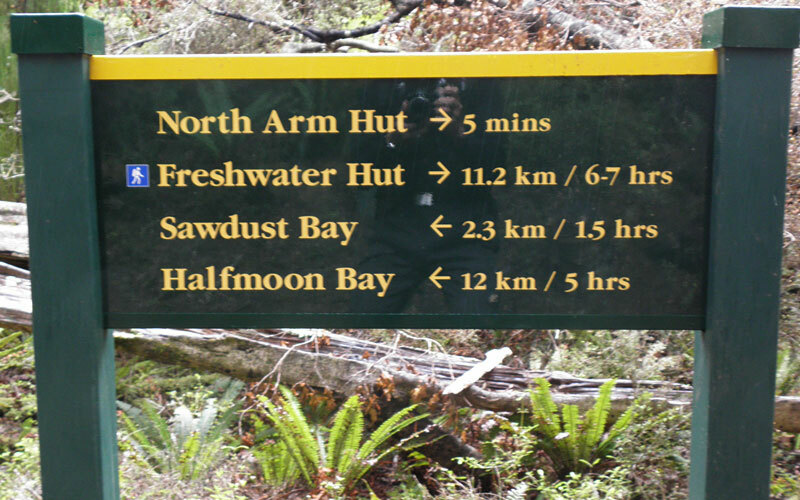 Here I stayed for an energy break and made the decision to try the whole Rakiura track in one go/day. 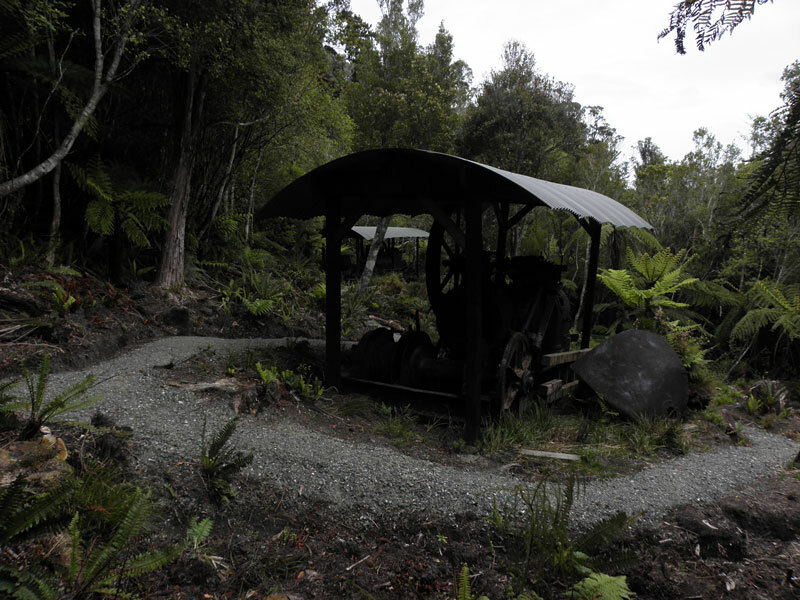 Relics from the timber milling industry (the last mill was closed at Maori beach in 1931). 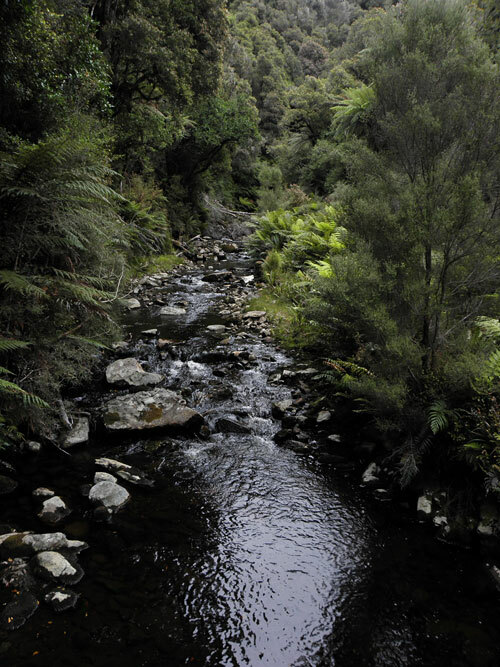 A lovely stream along Rakiura track. 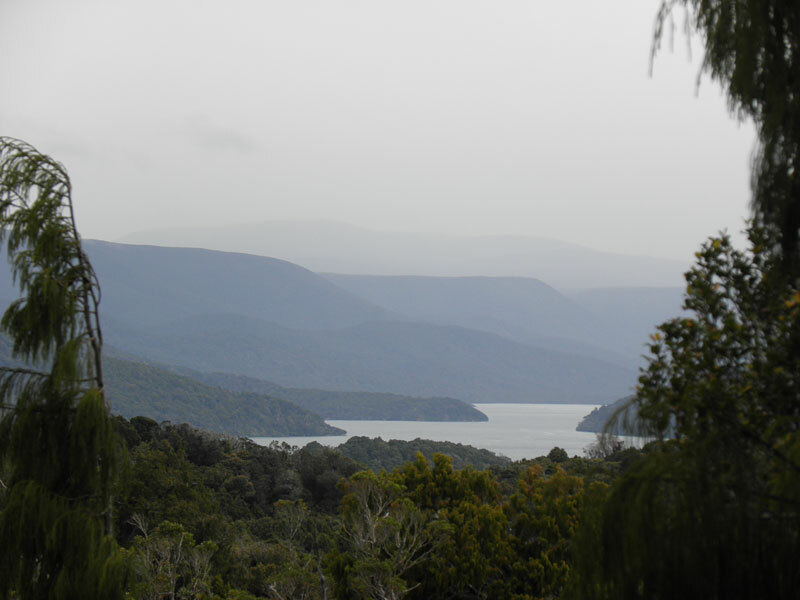 The lovely dense native forest between Port William and North Arm. 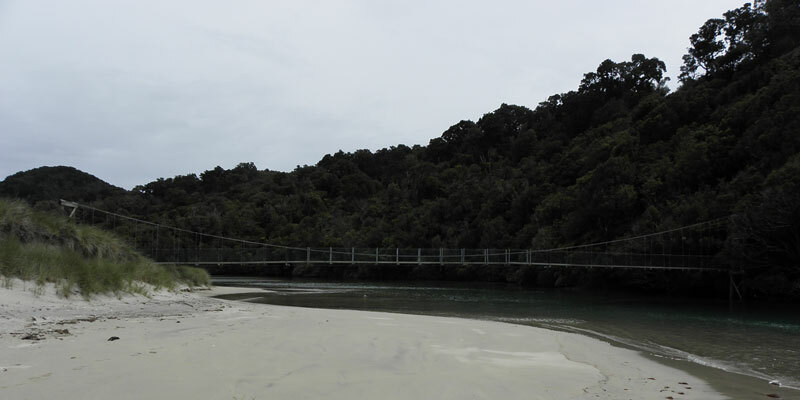 A temporary suspension bridge between Port William and North Arm, due to construction work of a collapsed part of the track. 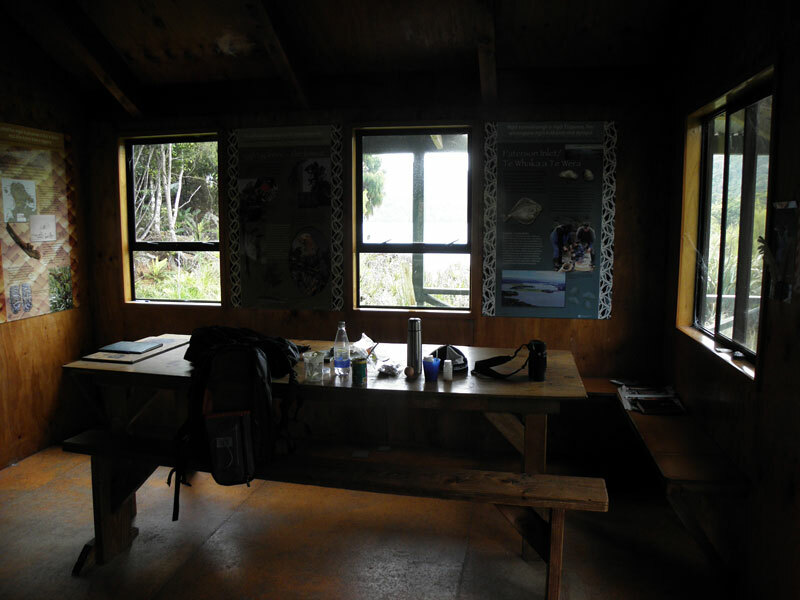 Part of the North Arm seen from the hut. Only 12km left before I am home in my little cosy room at Jo and Andy's. Unfortunately, it started to drizzle when I hit the track again. 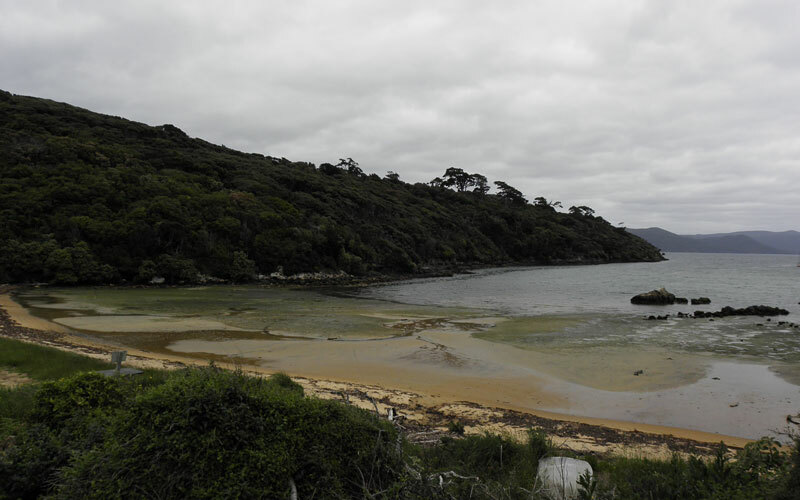 The track between North Arm and Sawdust Bay were just a muddy disaster as some clever one had pulled away the wooden walkway, instead of doing it step by step when replacing it with a gravel walkway. I could tell that Andy was most impressed of my full day journey!